Viknesh Vijayenthiran March 1, 2011 Comment Now! 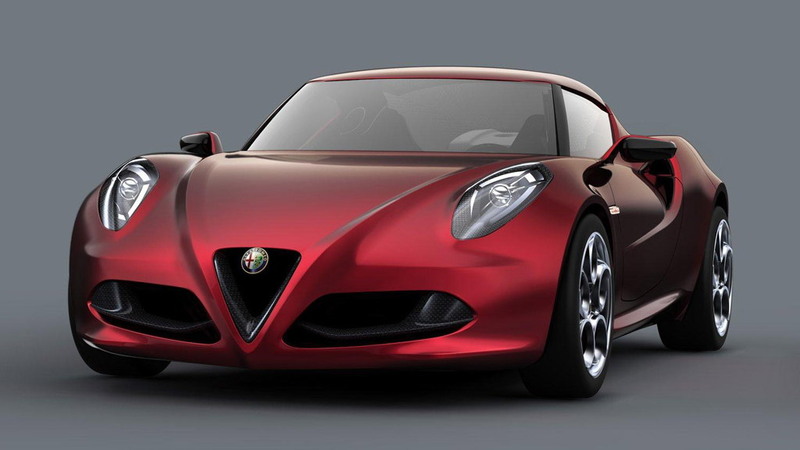 After what seems an eternity, the highly anticipated Alfa Romeo 4C has been revealed in concept form at this week’s 2011 Geneva Motor Show. Blending the brand’s trademark flair and style with a lightweight and affordable platform, the new 4C can best be described as a poor man’s 8C Competizione--which is no bad thing. The concept presents the classic formula of a two-seater, rear-wheel drive coupe with its engine at a mid-mounted position and a length of approximately 13 feet and a wheelbase of less than 8 feet--dimensions which serve both to emphasize the compact size of the car and to accentuate its agility. 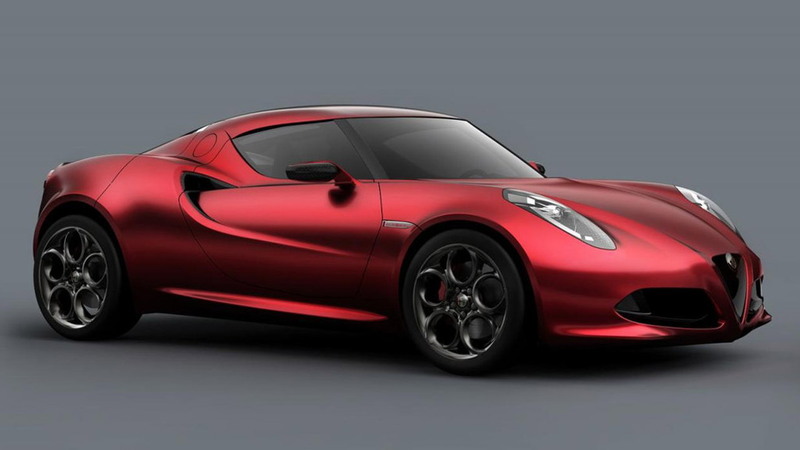 The Alfa Romeo 4C Concept also follows the route of limited weight, made possible by extensive use of carbon, which also plays a structural role and guarantees exceptional agility with a weight/power ratio which is lower than 9 pounds per horsepower. This platform is thought to be a modified version of the mid-engine design underpinning the KTM X-Bow, which promises to be extremely grin-inducing should there be a svelte Alfa Romeo body sitting on top of it. The chassis supports a body crafted completely from carbon, inside which there is space for the driver and passenger, while the rear frame structure and the crash boxes use aluminum extensively. The final result is a significant reduction in weight, limited to less than 1,874 pounds, as well as the optimization of the vehicle's center of gravity. Power comes from Alfa Romeo’s proven 1.75-liter four-cylinder turbo featuring direct injection technology and a dual clutch transmission. 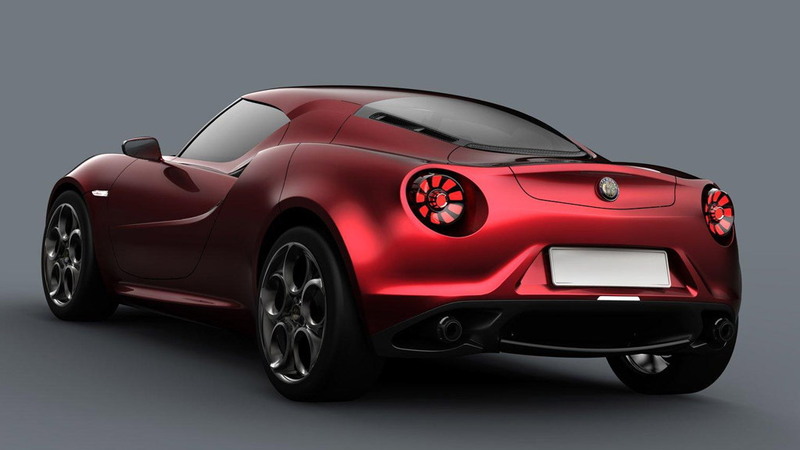 Thanks to an output of 200 horsepower, the spirited 4C will accelerate from 0-62 mph in less than five seconds and easily reach a top speed in excess of 155 mph. The car also rides on an extremely sophisticated suspension layout (high quadrilateral at the front, MacPherson at the rear) to ensure maximum agility and road handling. Weight distribution is 40/60 front to rear, which should guarantee some ‘interesting’ dynamics. The best part of all, the Alfa Romeo 4C is confirmed for production in 2012, which puts its release in parallel with the brand’s relaunch in the U.S.
For more details on the Alfa Romeo 4C, check out our previous post by clicking here, and for our complete coverage of the 2011 Geneva Motor Show, click here.